The court hearing and the marathon press conference given on Tuesday, January 8 by his lawyers have resulted in the "version" of Carlos Ghosn's game. His defense filed at 7:30 pm (local time) a motion to quash the detention of the former Nissan and Mitsubishi officer, dismissing the charges as baseless. Mr Ghosn has been detained since 19 November. He was arrested three times, the last on December 20 for aggravated breach of trust. To establish such an offense punishable by ten years in prison, it is necessary to prove simultaneously the non-compliance by the President and Chief Executive Officer of his official obligations, personal enrichment or for the benefit of a third party and conduct prejudicial to the company. . For the defense, Carlos Ghosn is not guilty of any of these shortcomings. The prosecutor's office accuses Carlos Ghosn of having imputed to Nissan in 2008 losses of 1.85 billion yen (14.8 million euros) on personal investments in currency derivatives. For the prosecution, Carlos Ghosn would have made Nissan a stakeholder in the contract on currency derivatives, "Forcing him to assume the obligation of liability for losses under this contract". According to the prosecution, $ 14.7 million (12.8 million euros) would have been paid by a Nissan subsidiary to Nissan Gulf, a joint venture created with the Saudi Khaled Al-Juffali, as a thank you to the latter for having helped Carlos Ghosn solve financial problems by unlocking 3 billion yen (24 million euros). On January 8, the judge, Yuichi Tada, further explained that the continued detention was justified by the fear of leakage of the suspect or the destruction of evidence. According to his lawyers, Carlos Ghosn manages his assets in dollars. But Nissan could only pay it in yen. To reduce the risk of losses in the event of a sharp appreciation of the Japanese currency, he asked Shinsei Bank, which recommended the introduction of a fixed-rate dollar conversion system through derivatives. But the financial crisis of 2008 has increased the yen enormously and plunge the stock market. Since Carlos Ghosn's credit guarantees are equity-linked bonds, they have lost their value. The bank has therefore solicited new ones. According to the defense, Carlos Ghosn could then resign and use the amounts to be paid as a guarantee. He refused to do so because, he told the court, "A captain does not jump from the boat in the middle of a storm". Ghosn opted to seek the help of his Saudi friend Khaled Al-Juffali and a contract was signed between the bank, the asset manager Carlos Ghosn and Nissan, with the agreement of the board of directors, "Provided it does not cost the company anything". And, according to the defense, Nissan did not record any losses. The defense maintains that it was a fair remuneration for activities carried out for the benefit of Nissan. She obtained a press release from Mr. Al-Juffali, describing his activities for the Japanese builder who, "Between 2008 and 2012, encountered difficulties for its sales in Saudi Arabia". Al-Juffali says he worked for a dispute with the Nissan dealership at the time to convince Abu Dhabi funds to invest in the company or to negotiate with the Saudi royal family. . What to justify the envelope paid. In addition, lawyers "Assume that prosecutors have not, to date, questioned" Mr. Al-Juffali neither "Received testimonial from him acknowledging that the $ 14.7 million was not a payoff job for Nissan". The lawyers judge that there is no "No risk of escape"because Mr. Ghosn is known around the world. They also ensure that "The French government has prepared a document stating that if a residence in France was authorized in case of release on bail, he would assume the responsibility to ensure his presence in court". The document in question would be a "Letter of comfort". Provided to the lawyers by the French authorities, she states that they will use their influence to ensure the presence of the litigant at his trial. The purpose of such a document is to give weight to the lawyers' requests for bail with a right of exit from the territory. 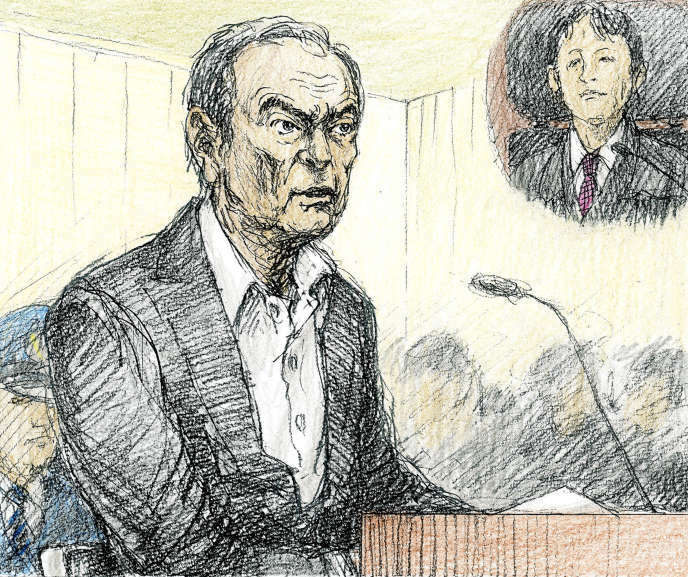 On the destruction of evidence, the defense of Carlos Ghosn believes that the prosecution already has all the necessary documents for the two charges against Carlos Ghosn.